Sheriff’s investigators interviewed Weeks, who implicated himself in numerous thefts taking place throughout Parker, Wise and Tarrant Counties. 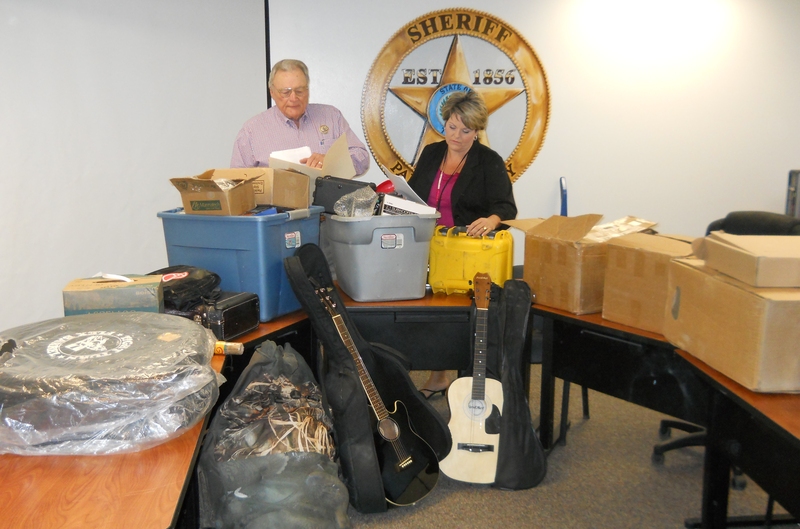 Parker County Sheriff’s investigators located a local hotel room rented by Weeks, which contained a large amount of suspected stolen property. Weeks told investigators he “found” a large portion of the property in a trash bin located at a storage facility in Wise County. Weeks identified at least 10 Parker County residences, where he stole packages from, which were delivered to the victim’s residences from UPS and FedEx. Weeks also told investigators he sold a large portion of the stolen items for drugs and money. Most of the recovered packages’ packing labels had been removed, making it difficult to locate the original owners. Sheriff Fowler said victims are welcome to contact the Sheriff’s Office in hopes of identifying their stolen items. Some of the items reported stolen include ammunition, jewelry, clothing, electronics, guitars, a trumpet, iPhones, rodeo equipment, toys, cosmetics, hunting equipment, souvenirs, home decorations, printer paper and ink, crafts, oil field tools, cleaning supplies and a pipeline Geo phone. Weeks told investigators that after he stole the packages, he threw some of the items away because they were useless to him. “He told our investigators he could not believe some of the items people would purchase through the mail,” Fowler said. Weeks’ was released later Wednesday on a $2,500 bond.